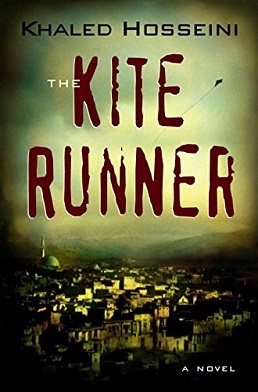 A recent anecdote: I was dissolved in tears at the end of “The Kite Runner.” My friend Tessa and I were probably the last ones out of the theater in Denver. Some folks were still milling around in the lobby as Tessa went to the bathroom. He said he was seven years old when his father took the family to Kabul. His father worked for USAID as an engineer. He said he could tell I was affected deeply by the movie, and he sensed that I had a story. He told me he had seen the kite contests in the winters. I was so addled, I failed to get his name or give him mine. So we parted ways in the parking lot, and I doubt I’ll ever see him again. But it was comforting to meet him and to say good bye (ba aman I khoda) in Farsi. Where are Obama’s Afghan health-care facilities? I wanted to defect when it was time to come home. But I’m really strong on agreements, and I agreed that I would come home. (Laughter) I’m still really strong on agreements but I was not ready to go. I was not ready to go. We all cried. It was not something that we were ready to do. Oh, my gosh, [those last days] were awful. They were really awful. We were running about getting a few pictures of things that I didn’t have. Going to different friends and shaking hands or hugging and saying good-bye, and exchanging addresses. There was a dinner and everybody came to the airport. The aunts, the uncles, the papa, the mama, the boyfriends of the girls. And we just — it was really amazing, ’cause I was hanging out the train window and I didn’t want to let them go, and they disappeared, and it was awful. It was awful. But I came home and immediately got a lecture about the way I was dressed. I wasn’t a wearing a bra. I decided they weren’t necessary there. I had a couple mini-skirts that were pretty doggone short, and when we stopped at the restaurant to have dinner when they picked me up, my dad swatted my rear end and said go put some pants on. They found more self-confidence, both of them said. I asked my mother about it when we were out to dinner a while ago, and I told her I was going to be cooperating with you on this, and she said “we saw a lot more self-confidence, and your dad learned to appreciate you. He missed you – a lot.” So that was nice.